Happy Tuesday! This week’s Top Ten Tuesday theme is a FREEBIE!! I’ve decided to go off the bookish path (again) and talk about movies instead. As an avid reader, I’ve never really made a priority of staying up to date with the latest movies. Because of this, the list of movies I haven’t seen is enormous. (I thought my TBR was bad, but this is even worse!) Whenever my friends reference a movie, chances are I’ll have no idea what they’re talking about. In an attempt to close this un-watched movie abyss I’ve been straddling, I made it my mission to watch a bunch of movies throughout the school year– my first year of college. In the end, I watched a grand total of…. 53 MOVIES. So, in no particular order, here are the Top Ten Movies I Watched As A College Freshman. 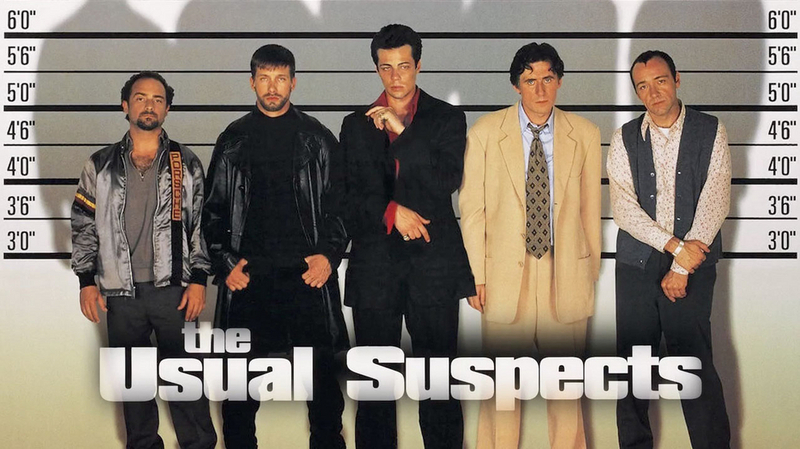 This was actually the first movie I ever watched in college– I’m part of Wheaton’s Film Club, and this was the second film shown (the first one was Fight Club, but unfortunately I wasn’t able to make the meeting. I was actually sort of unimpressed for the bulk of this movie, but then I was COMPLETELY SURPRISED by the ending. There were TWO amazing plot twists that I never saw coming, and they made the whole film worth it for me. This is the first (and only) Wes Anderson film I have ever seen, and saying that it blew me away is an understatement. What a well-crafted, artistic, imaginative, gorgeous film! I love how fast-paced the story is, both in terms of plot and cinematography. The story is brilliant, but the aesthetics of the film itself are just as incredible. It’s kind of difficult to explain– the best way to understand is to watch it and experience the wonder for yourself! My friends were SHOCKED that I had never seen this before, so we watched it the night we got back to campus after winter break. It’s such a feel-good movie, one of those stories that makes you feel all warm and fuzzy. There’s romance (obviously), but it also deals a lot with family dynamics, becoming an independent adult, and complications that can come with cultural differences. It was a great way to kick off our second semester! Oh boy, here come the emotions. I have heard this movie references countless times (Run, Forrest, Run! ), but it wasn’t until a few months ago that I finally understood from where that iconic phrase originated. There are so many things that I love about this movie: the heart-wrenching story, the historical aspects, the character of Forrest Gump himself, and THE ENDING. This is definitely a film that I have to watch again in the future. I watched this movie with my mom while I was home for spring break, and I was taken aback by how much it resonated with me. It’s one of my mom’s all-time favorite movies (after The Breakfast Club) and now I can completely understand why. It’s about a bunch of recent college graduates who are trying to find their way through adulthood, a transition that I will likely experience in just a few short years. Besides, it has young Rob Lowe in it, which always promises to be a good time! It’s no surprise this film is on my list, considering it won Best Picture at this year’s Academy Awards ceremony. Spotlight is incredibly hard-hitting, eye-opening, and thought-provoking. The fact that it is based on a true story is both mind-blowing and heart-wrenching. If you’re looking for a film that will challenge your perceptions of journalism, religion, and abuse, I highly recommend this one! This movie is SO FUN. Not only is it a heartwarming tale of romance, but it is also an exciting adventure story. I couldn’t help but become invested in the hilarious characters and the amazing fantasy world they inhabit. 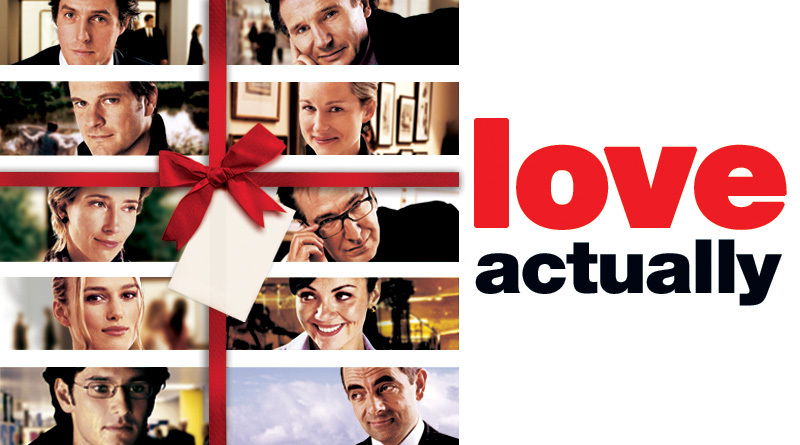 I honestly should have watched this movie a million years ago, because it has a little bit of everything I love in it! Between the amazing cast (Johnny Depp! Orlando Bloom! Keira Knightley! ), the captivating story, and PIRATES GALORE, this movie is everything I need and more! This is another movie that I can’t believe I waited this long to see, and I’m already dying to see the next one. My family and I took a road trip to Maryland in May, and it took all of my willpower not to roll down the car window and start singing, “GOOD MORNING BALTIMOOOOORREEEEE! !” This is such a feel-good musical and movie, and the cast is absolutely perfect. LOVE IT. Hugh Grant at Christmastime: What’s not to love? I know I said this list was in no particular order, but I would venture to say that this was my favorite movie I watched out of all of them. It’s adorable and emotional and always makes me cry even though I rarely cry while watching movies. I watched this movie three times in the span of a single Christmas season, and I already can’t wait to watch it again! What do you think of the movies on my list? What are some great movies you’ve seen lately or ones you would recommend I add to my TBW (To Be Watched) list? Let me know in the comments section below! I love some of these films! Especially hairspray!! Such a feel good film! Wow! You went a long time without seeing some millennial classics! Pirates, Big Fat Greek Wedding, Love Actually… But you watched them in the end and loved them, and that’s great!! haha I know, right! And that’s just the tip of the iceberg… I could write an entire TTT list just on the movies I haven’t seen that I DEFINITELY should have by now. Wizard of Oz. Frozen. Star Wars. Unfortunately, the list goes on and on! How did you miss Princess Bride as a child?!? Have you read the book – it’s awesome! They’re so great! 🙂 Thanks! Gotta love My Big Fat Greek Wedding!! I haven’t seen the sequel yet. Me neither! I don’t expect it to be better than the original, but fingers crossed that it’s just as good! I have watched and enjoyed several of these movies! 😀 They’re so good. I haven’t seen the sequel yet, but I really want to! I love Hugh Grant movies, especially when they are written by Richard Curtis (like Love Actually, Notting Hill, and Four Weddings and a Funeral), I have a whole hep of them, I really love Music and Lyrics though which is a bit underrated I think, so I’d recommend any of those. What else, err Baz Lurhmann films, his version of Romeo and Juliet (with Leonard Decapprio and Claire Danes) is one of my favourite films, and Moulin Rouge. I could probably keep going for days, so I’ll stop there! Have you read The Princess Bride too, I read it before the film and I think the film was a let down after it. I watched Notting Hill about a week ago and I loved it!! There’s just something about Hugh Grant that I adore ❤ I'll definitely have to watch Four Weddings and a Funeral at some point. I've heard that About a Boy is also good. After watching Spotlight my friends and I just sat staring at the screen, letting it all sink in. It’s an incredible film– undoubtedly deserving Best Picture! I always feel so behind with movies that have been released in recent years because I’m sorry, movies are super expensive to see these days. The Princess Bride is one of my favorite movies of all time, so good! I feel that way, too! There are so many movies out in theaters right now that I want to see, but there’s no way that I can justify paying to see all of them ASAP. Usually I wait until my library gets the DVDs and I rent them for free… but sometimes it’s just not the same! 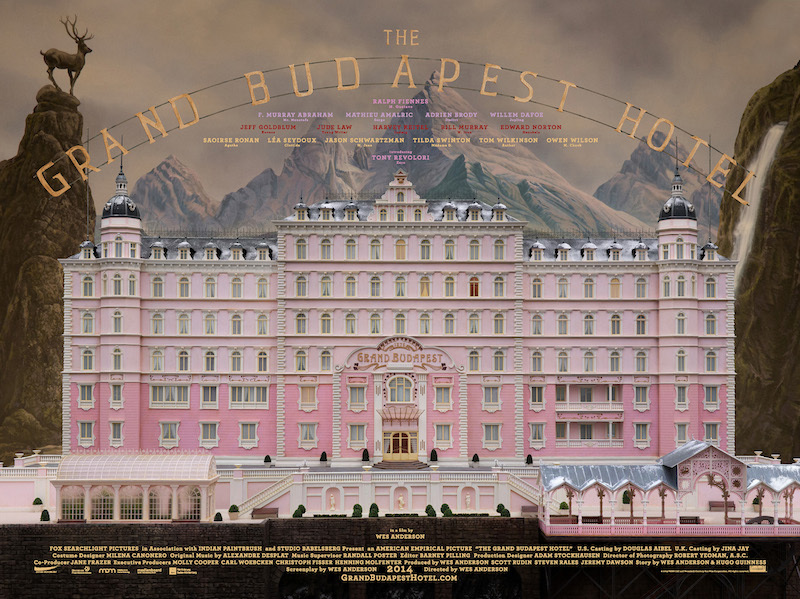 Some very excellent choices on here – especially The Grand Budapest Hotel. I’m probably in love with that film. I haven’t watched a lot of Wes Anderson films, but another one I really liked is his adaptation of The Fantastic Mr Fox. It’s so delightful and I can never hear George Clooney now without seeing him as a fox. I’m glad to see The Princess Bride on your list too! They’re the only two of his films I’ve seen in full. I’ve seen some of The Darjeeling Limited and I liked what I saw. It had that same stylistic approach as The Grand Budapest (and just about all his other films I suspect) and it was quite funny. I just love how distinctive his films are. The first time I watched Grand Budapest I hadn’t realised he was the director of Fantastic Mr Fox (which I’d seen years before), but I looked at it and thought, “wow, this looks Fantastic Mr Fox”, and then I eventually made the connection. Hairspray is one of my favourite films! I’ve watched it a ridiculous number of times this year and then I sing the songs for like a week afterwards cause they get stuck in my head! I’ve seen most of these movies, but Pirates of Caribbean has to be my absolute favorite on your list! A lot of fun movie titles overall, though. I’ve only seen Pirates (and part of Love Actually) out of these so you’re definitely not the only one who’s behind on movies lol. 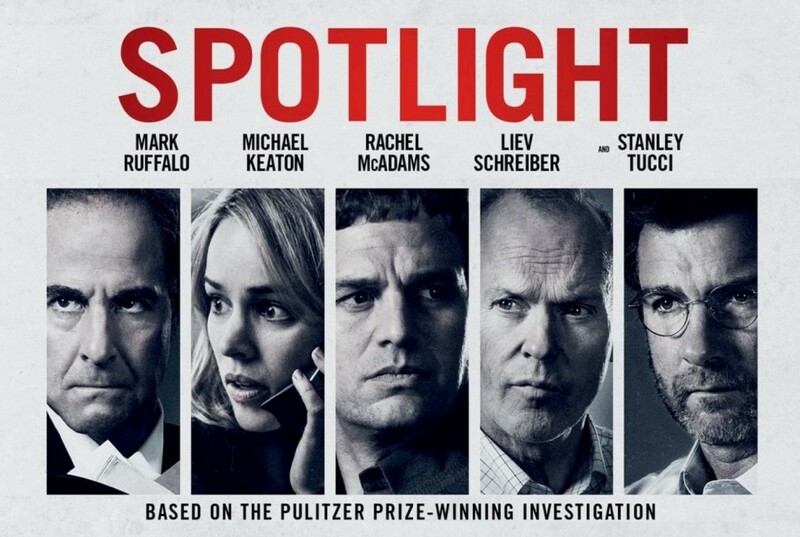 Spotlight is definitely one I really want to see though!